It is my utmost pleasure to be a part of the MUN of my alma mater, Ekin College. MUN not only gave me something to be excited about, it also gave me an understanding of how the world works, how some of the biggest decisions in the world are made, and how I, an 11 year-old student at the time, could be part of a community that would go on to last a lifetime. MUN helped build my confidence, made me a better researcher, taught me how to have fun while wearing a suit -something I could never have imagined doing, in short; it has taught me to imagine, innovate, and inspire. 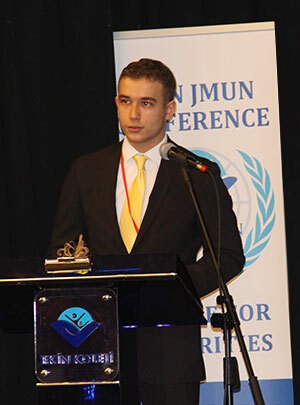 I have had the honor of joining a lot of MUN conferences, but all of it started in Ekin. We will try to make this a conference worth remembering to the best of our ability.